4 editions, hundreds of experts and thousands of participants from all over the world – this is how we could summarize .NET DeveloperDays conferences held so far. This year, in September, fifth edition of the popular conference addressed to programmers, architects and experts using the .NET platform in their work is going to take place. Check who you can meet in EXPO XXI in Warsaw in the second half of September. This year’s edition of .NET DeveloperDays is rich in different opportunities. As the organizers attach a lot of importance to the level of the event, they have included changes into its formula. Today, 4 parallel theme paths together with the access to the expert zone are among others going to be organized. Thanks to the expert zone, the participants will have the possibility to ask themselves bothering questions to chosen speakers, while a wide range of theme paths will make it possible to choose the most interesting topics. 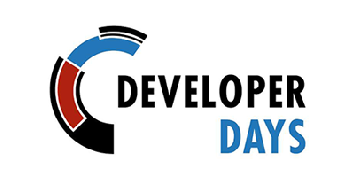 .NET DeveloperDays is in particular a large dose of content-related knowledge, provided each year by experts in the IT sector. During the 5th edition of the event, over 20 speakers will hold their sessions. The organizers have revealed the biggest stars of this year’s conference. The opening keynote is going to be presented by Scott Hunter – Director of Program Management at Microsoft. Hid everyday responsibilities include the work on NET Core, ASP.NET, Entity Framework online tools for Visual Studio. Tim Huckaby, considered by the press as the “pioneer of Smart Client revolution”, is going to be the speaker of the summary session. Huckaby is involved in the questions concerning: AI, Computer Vision, Machine Learning, AR/MR, & Emerging User Experiences. During 35 years of his professional activity he was among others connected with Microsoft – he cooperated with Bill Gates and Steve Ballmer. Donovan Brown – Principal DevOps Manager in the team of Microsoft’s Cloud Developer Advocacy – also joined the circle of speakers. Programming is his passion, but professionally he was for many years supporting the companies all over the world in developing solutions with the use of Virtual Studio and Team Foundation Server. Other speakers to take the floor during two conference days are: Gill Cleeren, Wouter de Cort, Jiri Cincura, Michael Kaufmann and Elton Stoneman. But .NET DeveloperDays these are not only presentations, but also programming in practice. On September 17th, on the eve of the main conference, all-day workshops are going to take place. They will be chaired by Sasha Goldshtein, Neal Ford, Daniel Marbach and Shawn Wildermuth. Pre-conference sessions require prior registration and the number of places available is already very limited. The conference together with all-day training sessions are going to be held in English. Registration form together will all the information are available at http://net.developerdays.pl/. Follow the news on Conference Facebook profile: https://www.facebook.com/DeveloperDays/. Our member companies employ over 4,000 IT professionals. Join us today! Find a reliable partner now!